What are the next generation of (subtle) leadership skills and capacities? How can individuals and organizations let go of ego and transform mindsets to evoke creativity? Innovation and creativity are understood as necessary skills for thriving in a dynamic economy, but what is often left out is the role of transforming the mind itself. Today's overwhelming challenges require leaders to move beyond "being effective" to fundamentally change themselves and how they see and relate to the world. How can individuals and organizations let go of ego and transform mindsets to evoke creativity, productivity and innovation? In this edition of our Drucker Business Forum series we heard about a new model for creative and productive leaders, a model in which innovation is actually a complete mentality, not a business-led process. 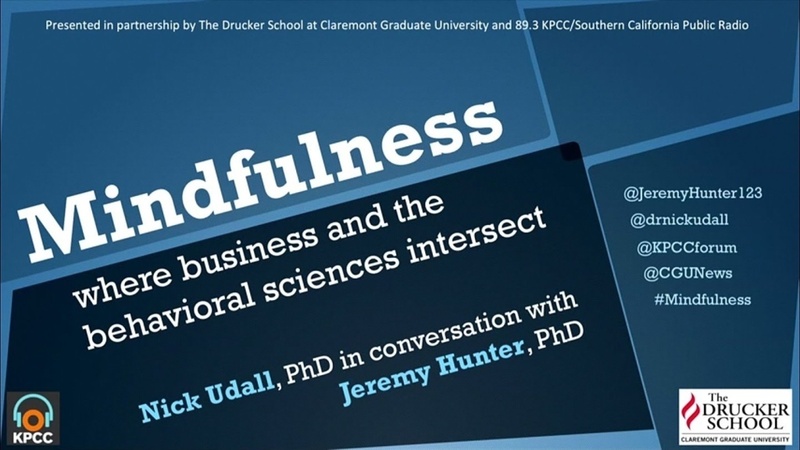 This program is a Drucker Business Forum co-presented by SCPR and the Drucker School of Management at Claremont Graduate University.